I haven’t been especially diligent about reporting on our escapades while shooting our second NEBBY program that will be titled MEAT PITTSBURGH. Working again with director/cameraman Frank Caloiero, I have been learning a lot about various aspects of how we get our meat, who processes it, who cooks it and what are some interesting places to get it in the Greater Pittsburgh area. 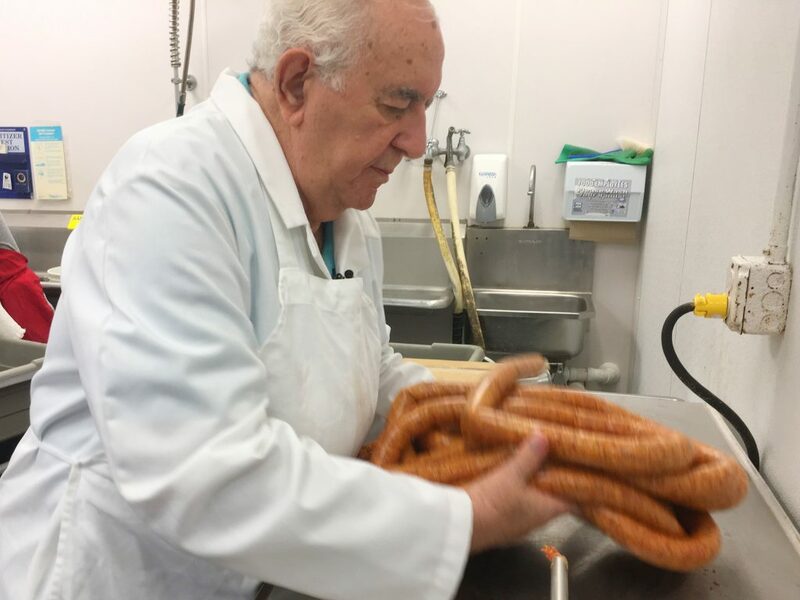 We spent a day at Ricci Sausage in Kennedy Township, watching them make Italian sausage in their small but mighty shop. Meatballs too. A family affair! 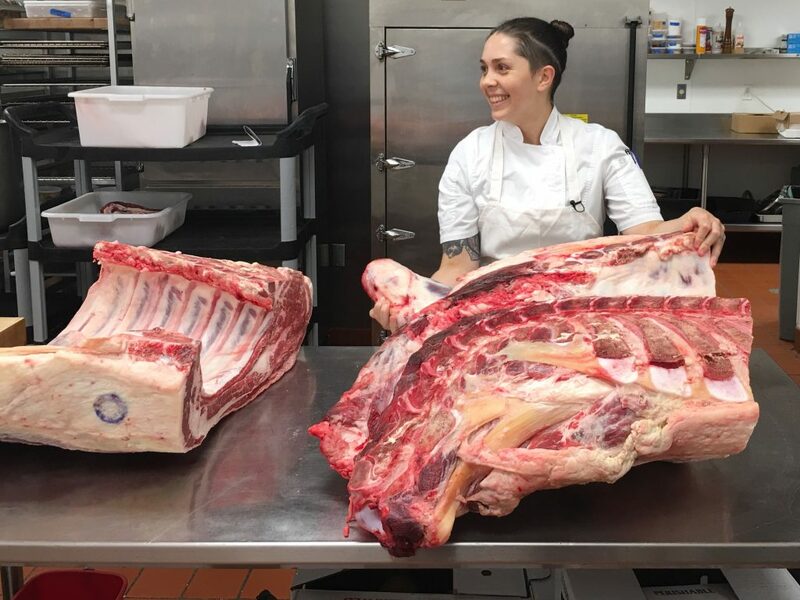 At the Ace Hotel, we watched while a side of beef was delivered and the kitchen staff cut it up to be ready for serving at the restaurant there called Whitfield. 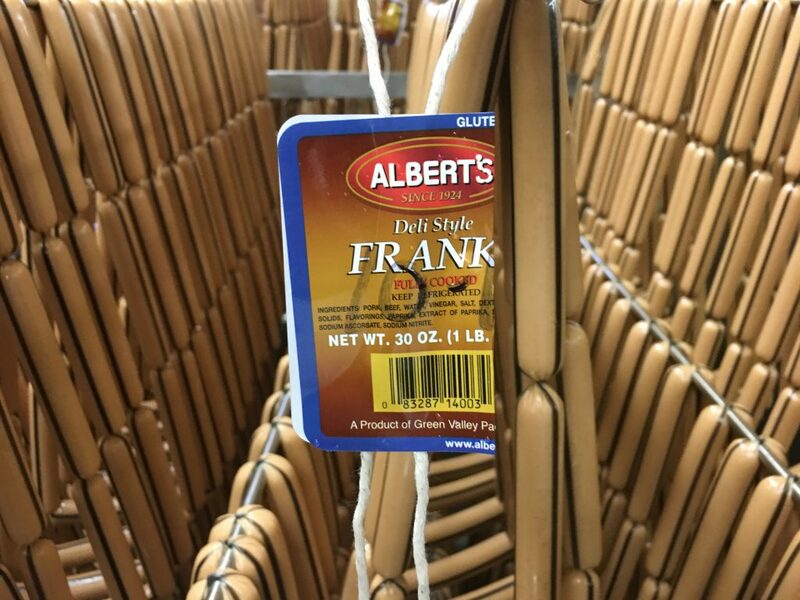 Just before Thanksgiving, we made two stops at Pounds Turkey Farm in Armstrong County, and Frank and I both ended up buying our turkeys there for the big day. 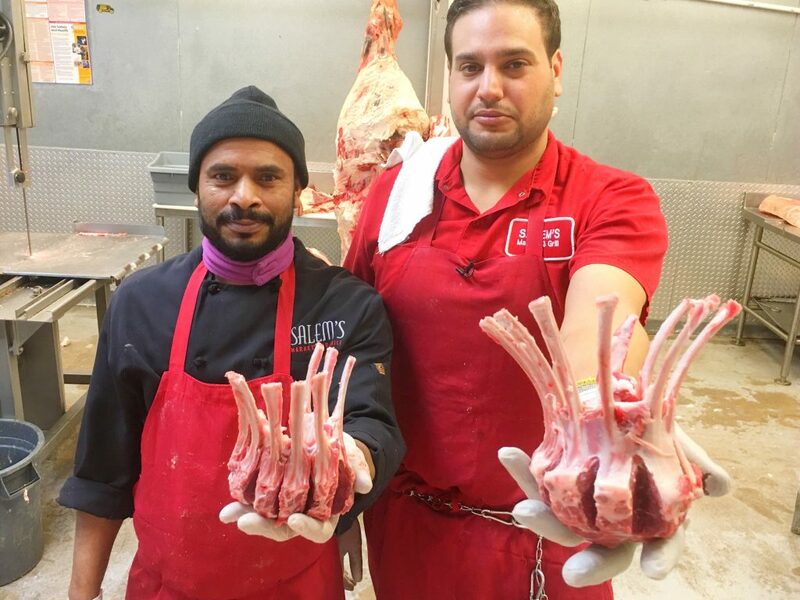 Fresh local turkey! 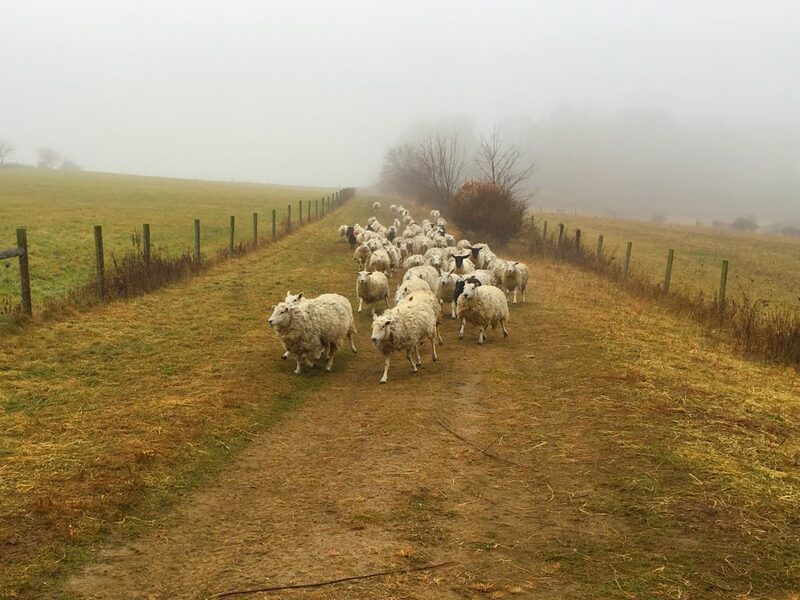 We also spent a beautiful foggy morning at Jamison Farm near Latrobe where the ewes were moving into a new fresh field of grass, and where we learned lots about the lamb business. 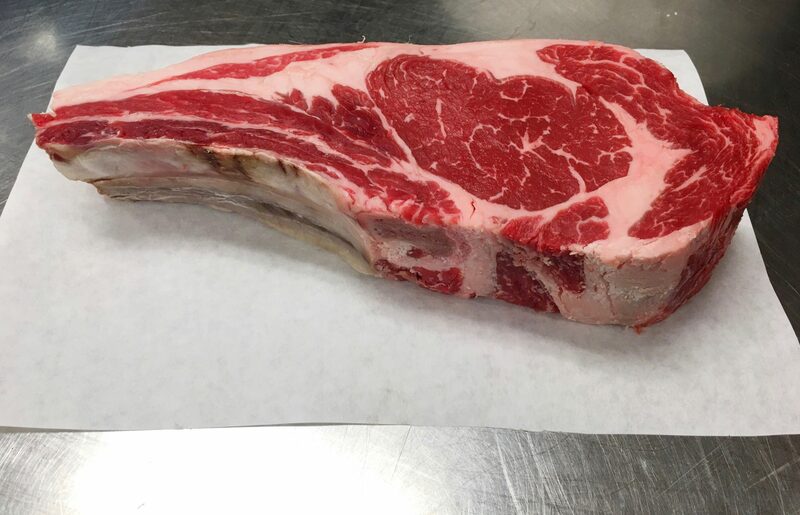 Following a recommendation from the meat buyer at Wholey’s in the Strip, we ventured out to Taylorstown in Washington County to see how they do things at Green Valley Packing, the home of Albert’s Meats. 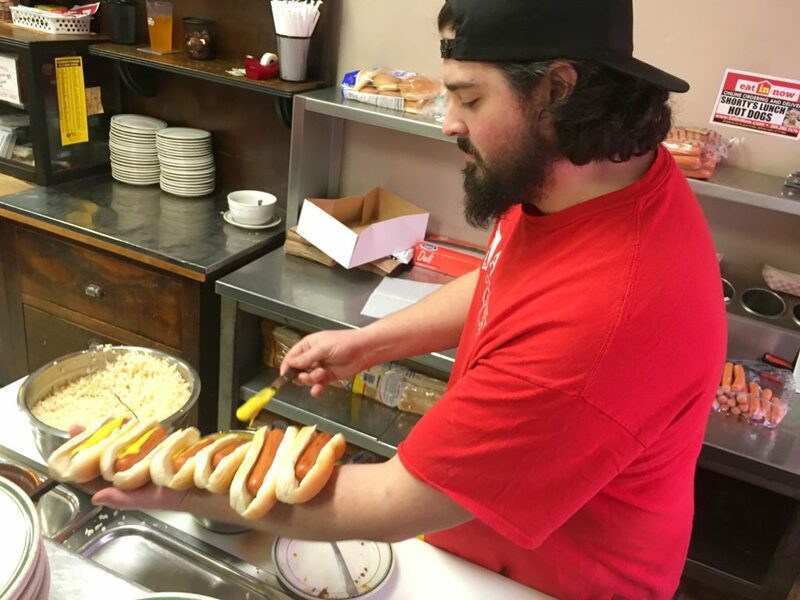 We went specifically to see how they make kielbasa, but returned to see how they make hot dogs too. 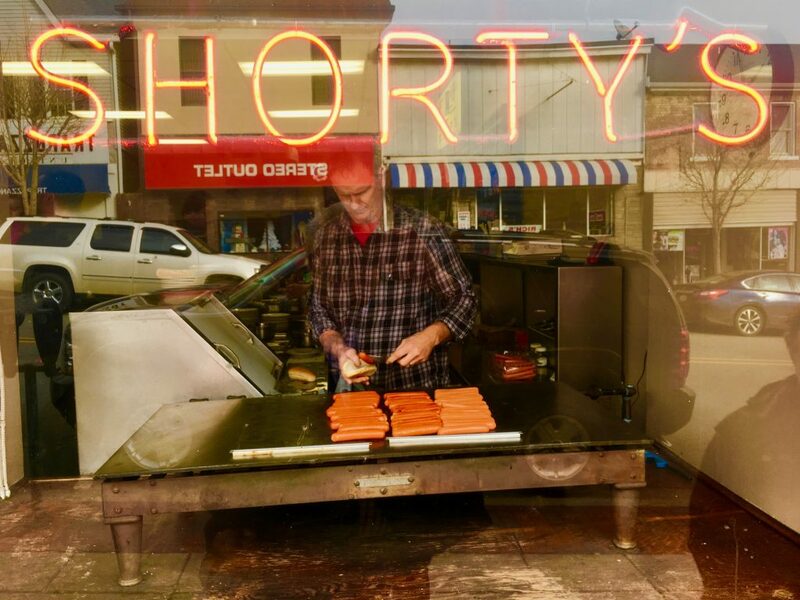 Finally, we stopped for a glorious lunch at Shorty’s in Washington, PA, where we ate some of the fine wieners they make at Green Valley. Now we just have to see if and where we might need more material and get this thing edited! 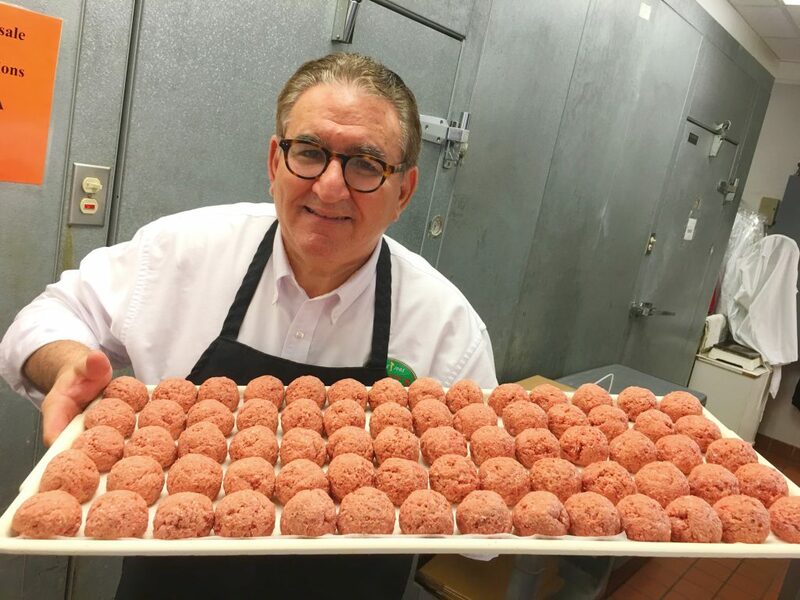 MEAT PITTSBURGH premieres February 1, 2018, at 8 pm on WQED. It will be rebroadcast on February 5 at 7:30 pm. Previous PostPrevious The music for Route 88 had to be piano music. 88 keys. Get it? Get Tom Roberts!